This is just one more reason for me to convey how much I love The Currys. The Charlotte Bobcats played the Golden State Warriors last night (and won), out on the West Coast. 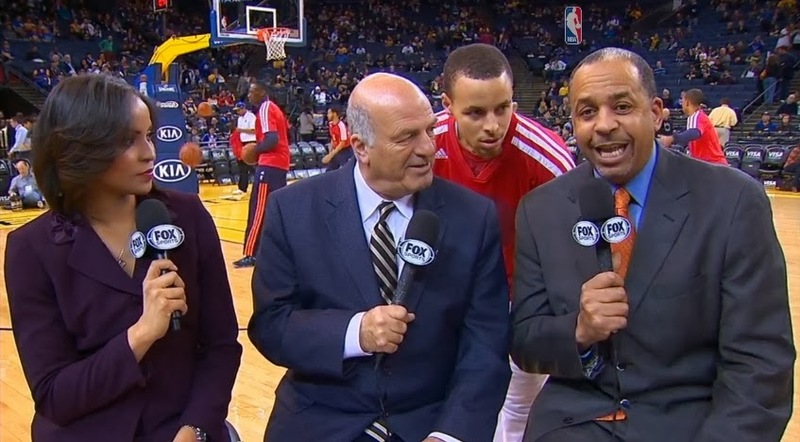 And during the pre-game telecast on FOX Sports Carolinas, Stephen Curry videobombed his dad, Dell Curry. The three broadcasters--Stephanie Ready (looking flawless as usual), Steve Martin, and Dell--all got a good laugh out of it. See video below. 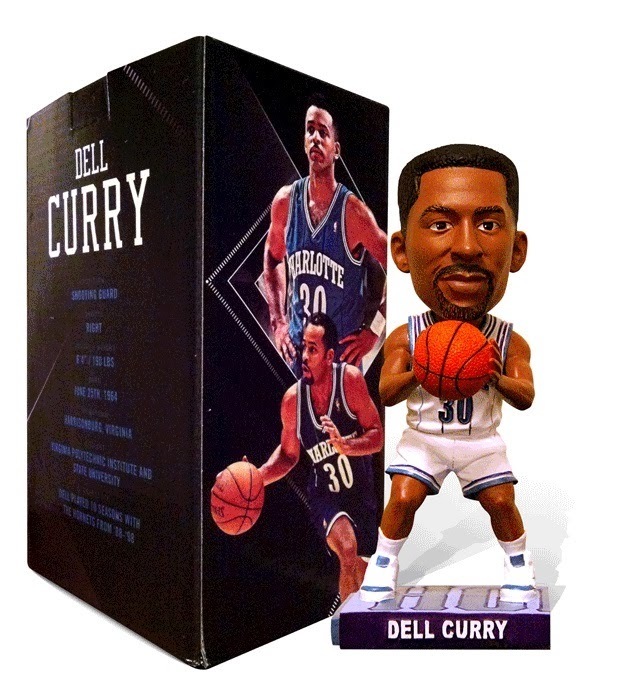 And speaking of Dell, a limited edition Dell Curry Charlotte Hornets bobblehead will be given away to the first 10,000 fans this Saturday, February 8, during the Bobcats' home game against the San Antonio Spurs. This is the third of five Buzz City Nights the Bobcats are putting on this season as the team prepares to make the transition back to the Charlotte Hornets name next season.